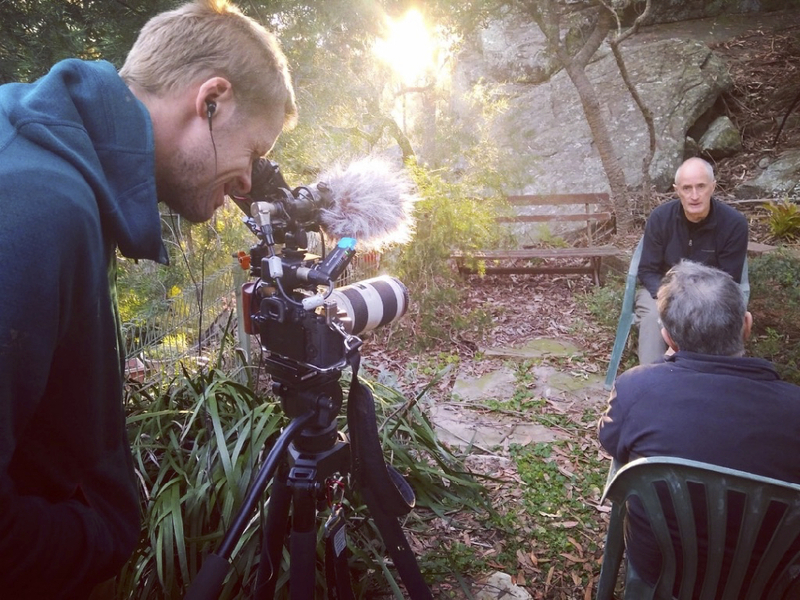 Ryan is a young Australian documentary director, editor and film practitioner specialising in intimate, non-fiction storytelling, who is part of our Wild Mountain Collective community. Since returning from 4 years living in China, Ryan has turned his focus to storytelling about issues of climate change and ecological destruction. The recent mass fish kills in Menindee along the Darling River have triggered a seismic shift in national consciousness about the way we have lived and governed our land in Australia since colonisation began with Cook’s claiming of Australia for the British Crown in 1770. 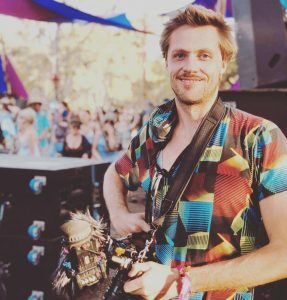 Ryan has assembled a team to realise a documentary project titled ‘The Voice of the Barka’, that tackles this issue through the lens of earth laws – a movement which considers natural entities such as rivers and mountains to have legal rights equivalent to that of a human being. Over the next 12 days, his team will be traveling from Mildura in Victoria to Brewarrina in northern NSW, documenting a series of public inquiries into the health of the Darling River and Menindee Lakes. The event is facilitated by the Australian Earth Laws Alliance, a non-government civil society initiative based out of Brisbane. I try to inspire people to connect the dots between aspects of life and the world around us that we might otherwise not be aware of. I want to tell uplifting stories of transformational change. Positive stories that showcase solutions to issues that we face in our modern society. In the modern world we are inundated with information about the immanent threat of climate change and what it might mean for our families and communities. So it is easy to feel disempowered and overwhelmed. We ask ourselves: “What can I do in an ocean of 7 billion people?” I think we have a choice about whether to become overwhelmed or we can focus on what we can actually do in our day-to-day lives, and in the network of passionate and incredibly talented people all around us if we choose to open our eyes and connect with them. I find them all the time around me. 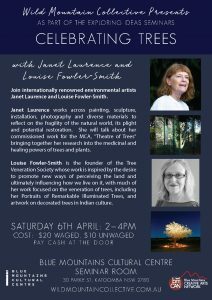 These thoughts accord with the Wild Mountain Collective and its commitment to help modern Australians shift their worldview from one of consumption through the exploitation of nature, to one of an intimate sense of interbeing with the natural world and one another as lived experience. I first met Ryan when he was in the middle of making his documentary, ‘Impermanence’, which focuses on the Tibetan spiritual community at Larung Gar (the Sertar Institute of Buddhist Studies) in northern Kham, which is home to many thousands of monks and nuns, both ethnic Tibetans and ethnic Han Chinese. As a young university student of Chinese history I visited China in 1968 and found myself there in the middle of the Cultural Revolution and all its madness. Later, having become a long-term student and practitioner of Tibetan Buddhism, and having visited Tibet in 2004 with the Tibetan refugee lama, Amnyi Trulchung Rinpoche, whom I met in New Zealand, I have developed a deep and abiding interest in Tibetan culture, history and religion, as well as that of China. I invited Ryan to visit me to discuss his documentary and make use of my reference library, as a result of research I undertook in 2010 for Tulkus, Tertons and Turmoil: East Tibet 1855-1955, which is currently being considered for translation into Chinese for publication in Taiwan. Ryan regaled me with stories of his life in China. After graduating from the University of Tasmania’s School of Art and Conservatorium of Music, Ryan took an exchange study scholarship to City University in Hong Kong to pursue his interest in creative media, while earning his living teaching English and beginning to learn Chinese. This initially took him to southwest Sichuan where he encountered the Yi ethnic minority people who live on the edge of the Tibetan plateau. He travelled further around western China, including into Yunnan in the south with its impressive mountainous limestone landscapes, and a two-week journey into northern Qinghai province. Between 2012 and late 2013 Ryan travelled back and forth between Europe and China, arriving in Europe on the overland route via Mongolia. Back in China he worked as a freelancer on a range of documentary film projects—all the time pursuing his passion for films about transformational change and honing his skills in all aspects of documentary film making. On the way back to Australia, he spent a month helping an NGO make a film about recovering from the typhoon that devastated large parts of the Philippines. Back in Australia he secured a job working as an editor with SBS Dateline. Another trip back to China in 2016 saw him return to the Tibetan areas of the wilds of northwest China to make a documentary about a family of Tibetans with close links to Larung Gar, which led to the ‘Impermanence’ project. 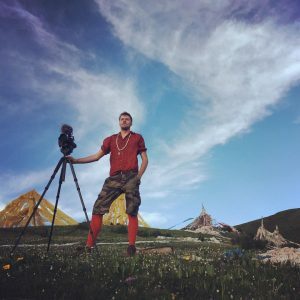 On the basis of footage shot for a documentary about Larung Gar, Ryan secured a Screen Australian Grant in 2017 as an emerging documentary filmmaker and returned to do more filming in early 2018. Ryan presented his footage at the “1st International Conference on Communication Across the Pan Himalayan Region” at the University of Electronic Science and Technology of China, in Chengdu in early 2018. Here, he encountered many intellectuals and creatives from China, Nepal and Bhutan who shared the common feeling of a need for more balanced and inclusive journalism across the greater Himalayan region—the focus of China’s massive Belt and Roads initiative. Ryan and I have spent many hours discussing the future of Tibetan Buddhism and Tibetan culture in modern multicultural China, and the tensions between the Chinese Government’s commitment to economic growth and technological innovation set against its stated commitment to becoming a world leader as an eco-civilisation. While the rapid economic growth agenda has propelled China into becoming a global superpower, it is leading to increasing pollution, ethnic tensions and income inequality that threatens its internal cohesion. This has been a challenge for Chinese empires that rose and fell from such tensions across thousands of years of its history. 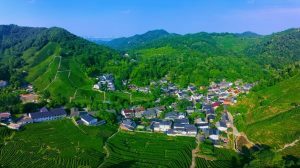 The eco-civilisation goal on the other hand speaks to the world’s existential environmental crisis and requires attention to environmental sustainability and genuine multiculturalism, replacing the Han chauvinism that has long plagued China’s relationship with its ethnic minorities. The stated goal of eco-civilisation points to the deep Daoist and Buddhist roots of Chinese culture, compared to the imported Western ideas of its rapid industrialisation and consumerist culture. 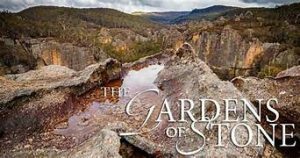 I met up with Ryan again in the Blue Mountains in mid 2018, when he was working with Tom Zubrycki to make a campaign film for the Colong Foundation that is seeking to extend the Gardens of Stone National Park to include all of its extraordinary landscape of stone pergolas. I persuaded him to bring his camera along on a return trip to do follow up filming and make a documentary of the Wild Mountain Collective’s multi-arts launch event, Encountering the Wild, held at the Gallery H arts complex at Dargan on 1 December. The Aboriginal rock art specialist, Wayne Brennan gave the keynote talk on the role of art in the 60,000+ years of Aboriginal culture, recorded in rock art and associated song lines all across Australia, including the Blue Mountains World Heritage Area. Busy with many projects, Ryan is promising this will be ready for us by mid 2019. Through these stories and others I came to admire Ryan’s intrepid spirit and courage as a filmmaker, and his strong commitment to the ethos that informs the Wild Mountain Collective—the celebration of our interconnected relationship with nature and one another, informed by the wisdom of the 60,000+ years of Australia’s First Nations peoples in caring for country, embedded in their songlines, ceremonies and art. Ryan is passionate about the world and utilising media as a means to educate, communicate and inspire positive change—and like many creative people, prepared to live on ‘the smell of an oily rag’, juggling multiple projects and insecure income, to pursue his passion. Young creative filmmakers like Ryan remind us about the important role of people in the creative arts who tap into things at a deeper level than the 24 hour news cycle. What I can do is continue to tell stories. As a filmmaker I would like to focus on those stories of transformation and natural wonder, of meditative experiences and solutions to the problems in our world. I see the beauty in the simple things. To portray this is important.